IN THE STUDIO & BEYOND! Thanks you everyone who came out to visit my booth at the Hudson Valley Hullabaloo. Gift Certificates are still available if you wish to give the gift of a tintype portrait this year. 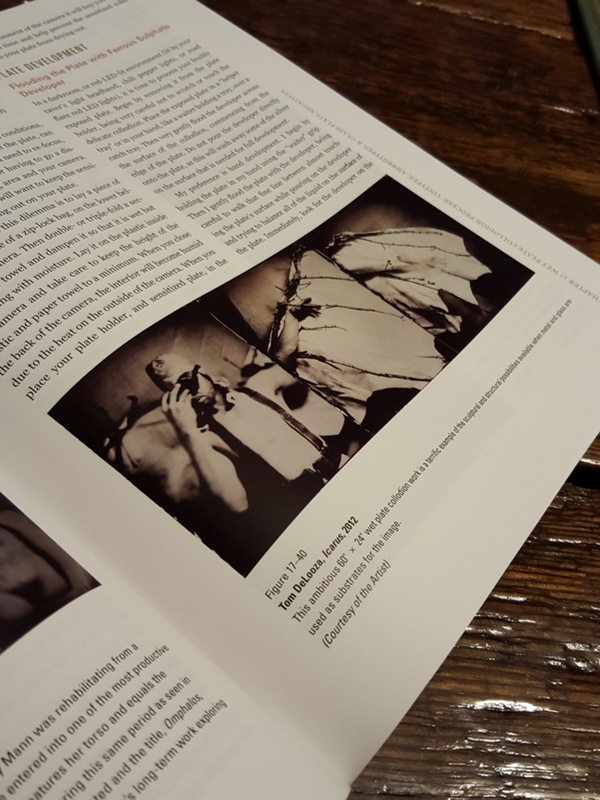 Check out the newest edition of Alternative Photographic Processes by Christopher James. My piece “Icarus,” has made an appearence. Hey Everyone, Sorry it has been such a long time since my last post. I am making it a conscious effort to regularly post from this point forward. Here are a few examples of some things I have been working on. Dark_Matter_Release The opening reception for Dark Matter will be this Friday, from 5-9. I am really excited about this show as it is the first time all of the triptych ambrotypes from my Adventure series have ever been exhibited. The town of Lexington, NY has the best bake sales. What other town commissions an antiquarian photographer to come take pictures of the event? Thanks so much for having me come out. Hey Everyone, I know it has been a while and I apologize, but here is the latest. I have just dropped off eight of my Adventure series triptychs to the Fulton Street Gallery in Troy, NY. The exhibition will open on October 31st, aka Halloween night.